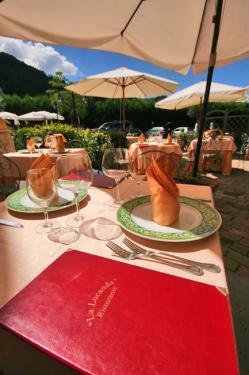 The restaurant "La Locanda" is a warm, family-managed restaurant. Here the pastel coloured walls of the dining room welcome even the most demanding palates, which will be satisfied by the flavours of our kitchen. 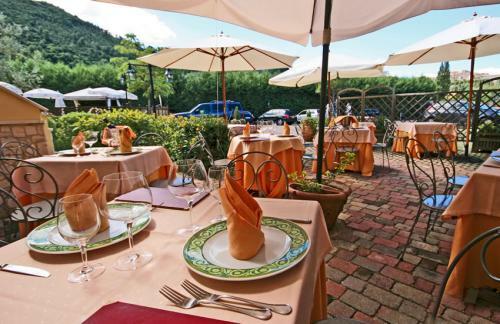 Here you can try the original flavours of our old cooking art, where every dish is carefully prepared mixing preciousness and ability. The food is mainly connected to our region and the Valnerina: truffles, cheese, ham, boar and deer meat, salami, homemade pasta, rice with crayfish sauce, trout with truffle sauce, lamb, beef, homemade cakes; every meal is served with our regional high quality wines. During the hot summer nights you can sit outside, under the porch. 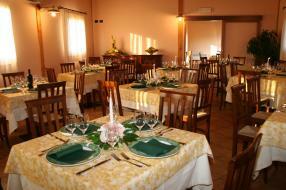 We organize banquets up to 75 people.